Brain And Plug Concept Photo. 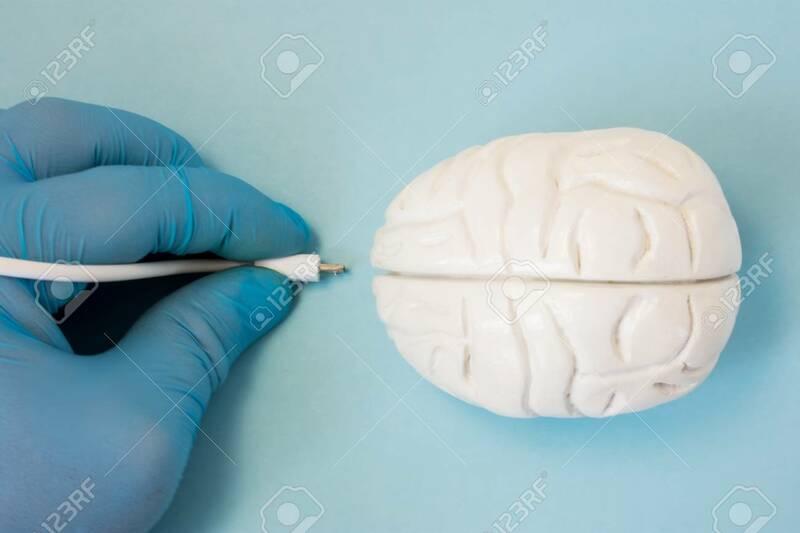 3D Figure Of Human Brain Is Next To Hand Of Scientist Or Doctor In Glove, Which Keeps Plug Connector To Be Inserted Into Organ For Diagnostic Or Download Information Data Royalty Free Stok Fotoğraf, Resimler, Görseller Ve Stok Fotoğrafçılık. Image 88688507.